What I love: As a Mom I take a TON of photos. I have only have 8gb of storage in my phone so I find that I am syncing my phone at least every few days to make room for new photos and videos of my kids. It takes so long to sync the videos sometimes I dread doing it and put it off until I am out of space. 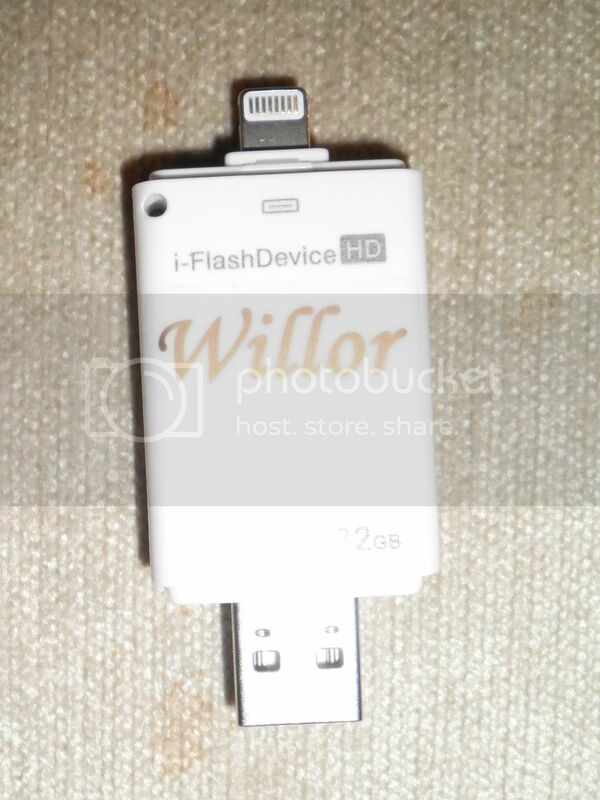 The Willor Lightening to USB flash drive is one of the best inventions I have ever seen. I have the 32 gb version and LOVE it! It allows you to easily transfer your files from your lightening device to your PC. It's super light weight and small. The case is made of a really durable feeling plastic and is easy to take with you anywhere in your pocket. It is also waterproof which is a big plus! It has a hole as well for a cell phone tether so you can attach it to a lanyard or something else so it's not misplaced. This drive is fairly wider than your average USB flash drive, so if you are using it on a laptop where you have another peripheral like a USB mouse that you need plugged in directly next to this you might want to use an extender for the drive so you can have both plugged in at the same time. As for plugged into my phone depending on your case it may go in all the way it may not. It fits with my lifeproof case on but not with my stand case. Using this is super simple. The first use just plug it directly into the lightening port of your iphone 5, 6 or ipad and it will promp you to install the app "I Flash Drive HD", just follow the onscreen instructions and install from the app store. Once Installed you can use the app to access your photos and then you can transfer them or store directly to the device. You can then use it to transfer between your PC other lightening devices. It's super easy! This device is USB 2.0/3.0 so it works with all standard USB ports and has a pretty fast transfer rate. It look less than 10 seconds to transfer a 5 minute video for me! I love that I can move my photos, videos, documents and even music within seconds and be ready to go. I LOVE this drive. I highly recommend it for anyone who's tired of running out of space on their device!